You deserve a warm, comfortable home. When your heating system quits, it is important to have a company you can trust to perform the heating repair services you need quickly and reliably. 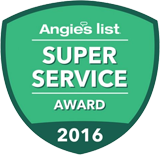 When you choose Service Plus Heating, Cooling & Plumbing for your heating repair needs, we will be on time, courteous, and professional. We value your time and appreciate your business and will treat you with respect. Don’t wait another minute! Contact us now to schedule your heater repair in Indianapolis, Fishers, Carmel, or the surrounding areas today. Experienced, certified technicians specializing in furnace repair and installation service. A dedicated fleet of service vehicles and a large inventory of furnace parts. Straightforward pricing, allowing you to know the cost before buying. In addition to the above benefits, we also complete the majority of our services within the first visit to your Indianapolis home. To learn more about our heater repair in Indianapolis, Fishers, Carmel, and the surrounding areas, contact Service Plus today! It doesn’t matter if your system is old or new—if you are looking for routine maintenance or are in need of a major heating repair, Service Plus is here to help. We even offer a FREE carbon monoxide check with every heating repair service. We have the experience and expertise to take care of all your furnace repairs or other heating services in a timely manner. When your heating system breaks down, you want to call a reliable source for timely, effective repairs! You can count on Service Plus for all your heating needs, big or small. If you’re wondering where you can find heater repair “near me,” look no further than our experts at Service Plus. For heater repair in Indianapolis, Fishers, Carmel, or the surrounding areas, contact the HVAC professionals at Service Plus today—(317) 434-2627! We provide heater repair through the Indianapolis area, including Anderson, Avon, Carmel, Fishers, Greenfield, Greenwood, Indianapolis, Lawrence, McCordsville, Noblesville, Plainfield, Westfield, and Zionsville, Indiana.